Description : Here we have a fantastic 12oz Everlast glove that has been signed in silver sharpie by the one & only Don King who is without doubt thee greatest & most controversial boxing promoter of the modern era. 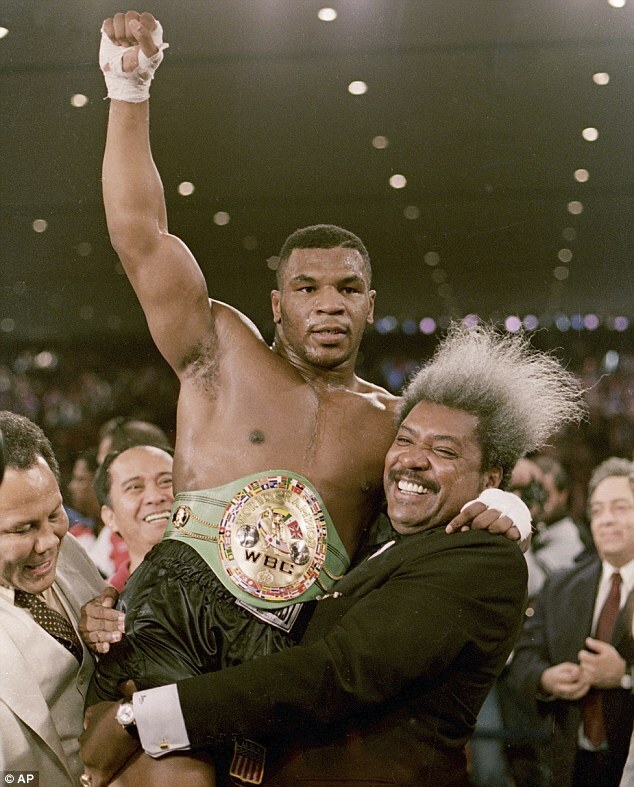 Don King entered the boxing world after convincing Muhammad Ali to box in a charity exhibition for a local hospital in Cleveland with the help of singer Lloyd Price. Early on he formed a partnership with a local promoter named Don Elbaum, who already had a stable of fighters in Cleveland and years of experience in boxing. In 1974, King negotiated to promote a heavyweight championship fight between Muhammad Ali and George Foreman in Zaire, popularly known as "The Rumble in the Jungle" The fight between Ali and Foreman was a much-anticipated event. King's rivals all sought to promote the bout, but King was able to secure the then-record $10 million purse through an arrangement with the government of Zaire. King solidified his position as one of boxing's preeminent promoters the following year with the third fight between Ali and Joe Frazier in Manila, the capital of the Philippines, which King deemed the "Thrilla in Manila". Aside from promoting the premier heavyweight fights of the 1970s, King was also busy expanding his boxing empire. Throughout the decade, he compiled an impressive roster of fighters, many of whom would finish their career with Hall of Fame credentials. 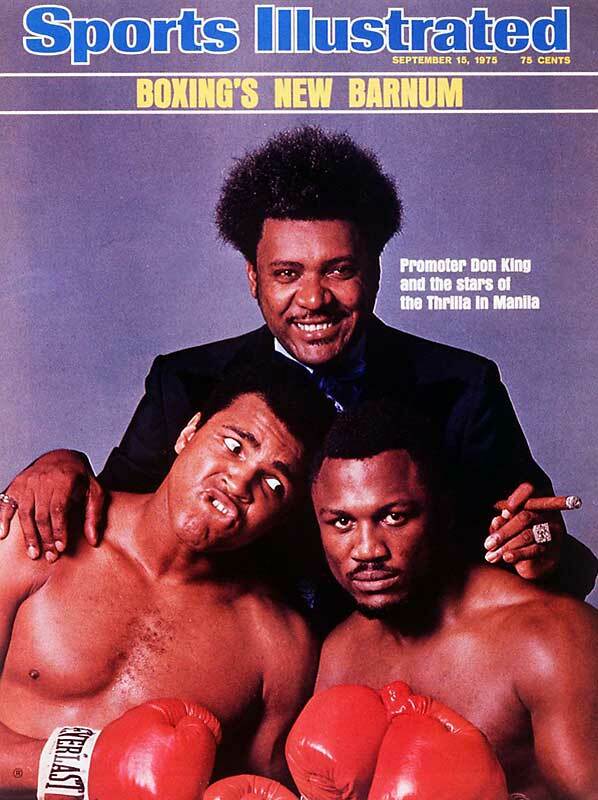 Fighters like Larry Holmes, Wilfred Benitez, Roberto Duran, Salvador Sanchez, Wilfredo Gomez, and Alexis Arguello would all fight under the Don King Productions promotional banner in the 1970s. For the next two decades, King continued to be among boxing's most successful promoters. Mike Tyson, Evander Holyfield, Julio Cesar Chavez, Aaron Pryor, Bernard Hopkins, Ricardo Lopez, Felix Trinidad, Terry Norris, Carlos Zarate, Azumah Nelson, Andrzej Gołota, Mike McCallum, Gerald McClellan, Meldrick Taylor, Marco Antonio Barrera, Tomasz Adamek and Ricardo Mayorga are some of the boxers who chose King to promote many of their biggest fights. 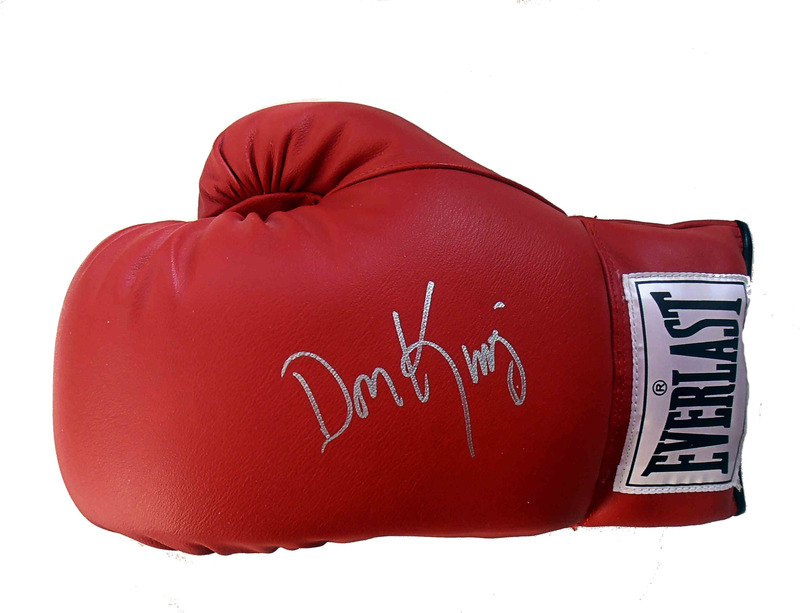 This Don King autographed glove comes with a letter of lifetime guarantee of authenticity from KOfightposters.com.